At St. Lillian Academy, a faith-based school founded by professionals and parents, children with communication and learning challenges have the opportunity to achieve their full potential and enjoy rewarding lives as independent and engaged members of our community. We educate a wide-range of students with a variety of diagnoses, such as down syndrome, developmental delay, speech and language delay, autistic spectrum disorder, apraxia, chromosomal abnormality, cerebral palsy, sensory processing disorder and ADHD. 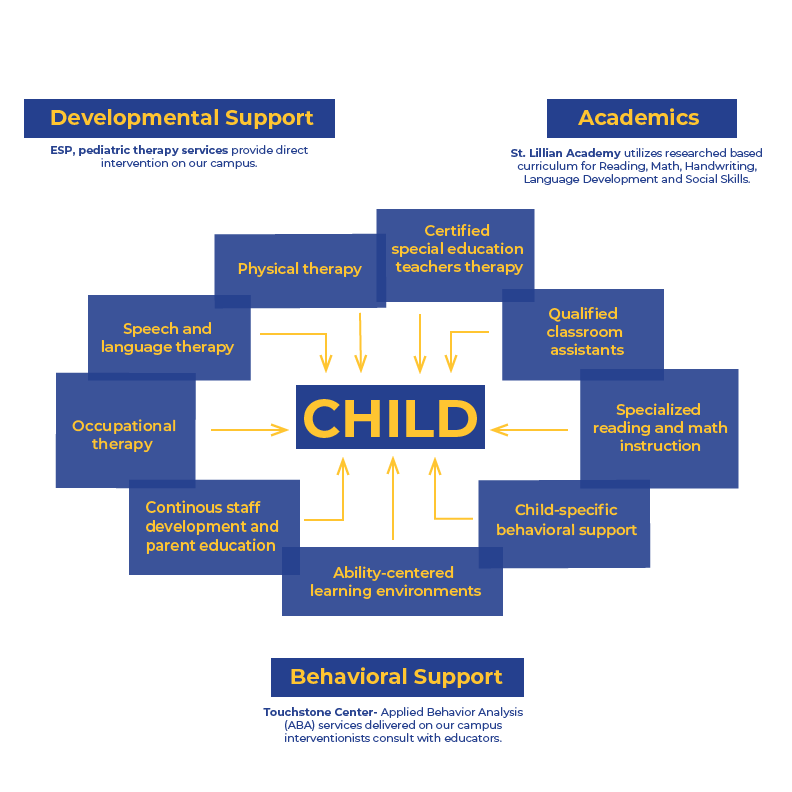 St. Lillian Academy’s staff and interventionists work with a holistic approach to progress skills in each domain of human development: cognitive; language(expressive/receptive); motor (gross/fine); adapted behavior and social/emotional. Our ability to manage individualized instruction, incorporating growth in each domain, in a standard school setting is what makes St. Lillian Academy unlike any other school in Baton Rouge. Community collaborations intended to increase expectations and outcomes for these students.